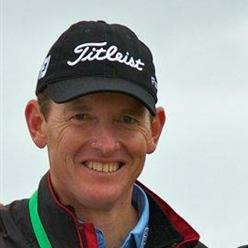 Denis is a senior member of the TPI Advisory Board and is based at the Melbourne Golf Academy in Victoria, Australia. He turned professional in 1986 and played competitively in Australia for a number of years before becoming a full time coach. Denis was voted Victorian PGA Teacher of the Year in 2001 and Australian Golf Digest Coach of the Year in 2008. Denis has a strong background in the development of elite level golfers. He coached for two years at the Australian Institute of Sport Golf Program and for eleven at the renowned Victorian Institute of Sport Golf Program, the last six as Head Coach. Graduates of the VIS Golf Program include Stuart Appleby, Robert Allenby, Geoff Ogilvy, Aaron Baddeley, Jarrod Lyle and Marc Leishman. His players have won on the PGA Tours of Europe, Japan, Australia, Korea and US Nationwide Tour and include PGA Tour Rookie Marc Leishman, Marcus Fraser (Europe), Paul Sheehan (Japan), Ashley Hall and Matthew Griffin (Asia). He was voted Victorian PGA Teacher of the Year in 2001 and Australian Golf Digest Coach of the Year in 2008. Denis is committed to the development of junior golf and creating programs that are effective and FUN. He enjoys speaking to parents and coaches about improving the structure of their programs and as head of the TPI Junior Advisory Board, has helped develop the Level 2 and Level 3 TPI Junior Certification courses now being offered.